A catering option to help you feed your group. 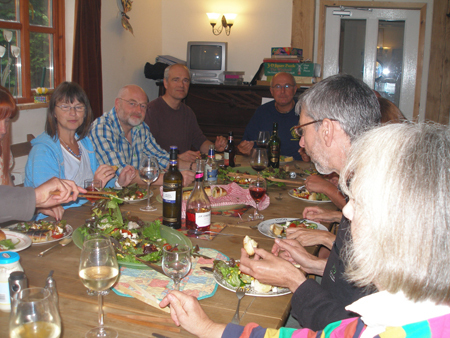 Meal options for bunkhouse guests. Evening meal usually consists of a substantial set 2 course meal. We can offer a vegetarian alternative, but again need to know beforehand. At weekends we are generally able to offer a full English breakfast, and during the week a self service continental style breakfast is available. Packed lunches are also available.